At The Lost Dogs’ Home we see a wide range of animals come through our doors, each one with their own story. With each animal having their own journey, it isn’t surprising that we come across a unique adoption story from time to time. 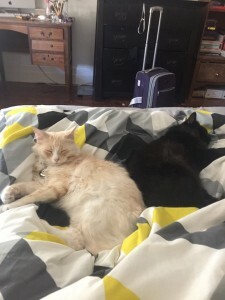 The story of Tayla and four year-old cat Buddy isn’t the usual adoption story because Tayla met Buddy before he arrived at The Lost Dogs’ Home. 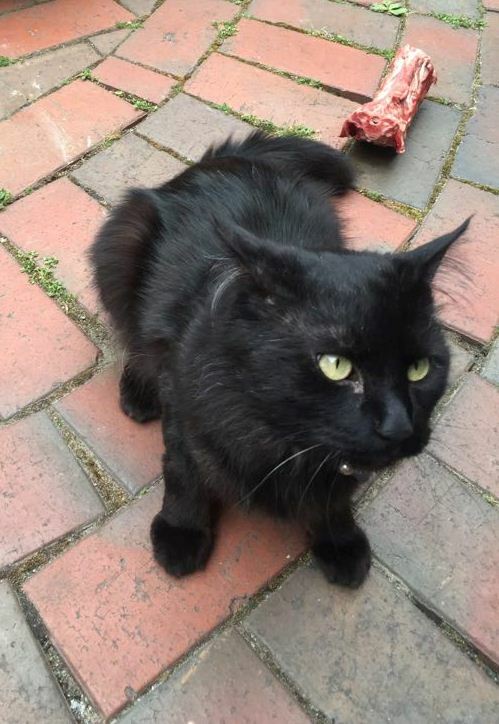 “My Mum woke me up one Saturday morning to let me know there was a black cat sitting in our backyard. “I immediately ran outside to check out who it was and there he was, sitting in the backyard, looking at our house,” said Tayla. During the day Tayla noticed Buddy wandering through her backyard and even interacting with her own cat Timmy. After watching Buddy for some time, Tayla decided she needed to find Buddy’s owner. “Despite Buddy and Timmy getting along so well, I knew that I needed to go and find Buddy’s owner. He looked like he had recently been in a fight because he looked quite matted and he wasn’t really able to jump my back fence. After seeing how well Buddy and Timmy got along, Tayla knew that she would offer her home to Buddy if his owner couldn’t be reached. “I told the Home I was interested in adopting Buddy if they were unable to contact the owner, and the rest is history,” said Tayla. It didn’t take long for Buddy to become a key part of the family. “Buddy has adjusted enormously well. He and Timmy lie together on my bed and often play together. “Sometimes they’ll have little tiffs trying to tell each other whose boss, but two minutes later they will be lying together again, the tiff forgotten. For Tayla adopting animals from a shelter is incredibly important as they are just as loving and caring as animals purchased from a store. “It’s a great thing to know you’ve given your pet shelter, food and love and you can really see they’re grateful for it. We have a number of cats looking for their forever homes. You can view the cats available for adoption here.